I have a bit of a soft spot for romance author Ruth Ryan Langan. She wrote the first romance novel I ever read, which incidentally (and this shocks no one) happened to be a western romance. I wouldn't recommend anyone go trolling for Nevada Nights these days, since it's loaded with 1980s awesome sauce (convent-raise heroine, a mysterious gunslinger named Colt ::snort::, a soap opera-style plot that probably could have saved Guiding Light from cancellation), but as a doe-eyed teen (I was probably 14-ish), I inhaled that book. Not only was it my first romance novel, and my first western historical, it was also the first "grown-up" book I read in one sitting. Langan has been writing for years, for a variety of publishers, and I discovered recently that she's moving over to Grand Central and has a trilogy due out in early 2010 (under a new name). I'll admit, the premise of the series does give me pause. Every reader has certain plot lines they've had bad luck with. Well, mine is long-lost gold mines/nuggets/whatever. Honestly, it's probably just my dumb luck, but every historical western I've read featuring long-lost gold has made my brain bleed. He was called a crazy old coot by the folks of Gold Fever, Montana, because he'd spent a lifetime searching for the sack of gold nuggets discovered by his ancestor, and stolen by a greedy prospector who was later found dead, the gold missing. The name stuck, and Coot McCord passed on his legacy to his three grandsons, challenging them in his will to carry on the treasure hunt. Cousins Jesse, Wyatt and Zane McCord had grown up under the same roof, not only blood related, but best friends, until the fabric of their family began to unravel, and their parents chose separate paths. Now adults, they are drawn into their grandfather's obsession, but they will have to overcome many obstacles on their path to regain the easy friendship they had once enjoyed. Wyatt McCord looks more like an eternal surfer than a cowboy. 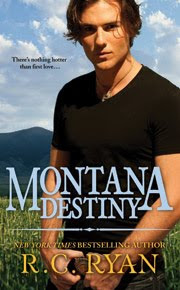 After traveling around the globe, he is brought back to Gold Fever by the death of his grandfather, and challenged to take up the search for the legendary McCord fortune. But Wyatt finds an even greater challenge in Marilee Trainor, a free-spirit who handles the town's emergency runs and pilots her own plane. When she decides to aid Wyatt in his treasure hunt, she finds herself in the line of fire by someone bent on preventing Wyatt from reaching his goal. Zane McCord put in some hard time growing up in Hollywood, until he found purpose with Steven Michaelson, a renowned director of documentaries. 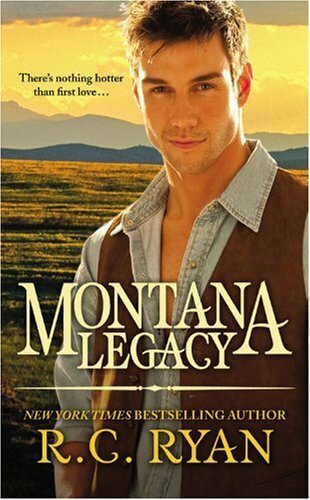 When he returns to Gold Fever, he must put in more hard time proving that he has what it takes to belong on his grandfather's ranch. Kate Mason is struggling to raise her two little daughters while juggling a day job at a local day care and working nights at the Fortune Saloon. Her first night at the saloon is a disaster, and Zane steps in to save her from being fired. When he learns that she was an art major in college, he puts in a good word with his aunt, a bit of an eccentric, but an amazing artist, who happens to need an assistant. Kate and Cora are a perfect fit. But because of a painful divorce, Kate isn't about to allow herself to admit to the feelings that Zane stirs in her. As for Zane, the family's avowed bachelor, he's certainly not ready for a ready-made family. As the cousins draw ever closer to the lost fortune, there are those who are determined to stop them at any price. Can Zane and Kate overcome the many obstacles to discover both love and fortune? I have to ask...are any of those boys old enough to shave? #1 - Probably, since he has some stubble. #2 - Young, but doesn't look too much like an infant. #3 - Doubtful! I'm a Gen-Xer and when I look at him, I feel like a dirty old lady. I'm also a bit concerned since that happens to be my favorite of the three covers. Probably because I'm a sucker for a cowboy hat. The third is my favorite, too, and rather than think we might be dirty old ladies, I'll agree it's the hat. It's the classic cowboy look sucking us in. I've had Langan's DUCHESS OF FIFTH AVENUE in my TBR - got it for the time period. I dunno why, but this whole trilogy sounds a lot like the Montana creeds that Linda Lael Miller did. One of the guys was even involved in Hollywood. Oh my, my, my - we certainly can't discount the lure of the cover can we? Oh God, Shannon, that's exactly what I was thinking. I think my son is older than those three!!!! LOL, i think they look good... Does that show my age? At least, there's no naked chest... that would just be wrong!